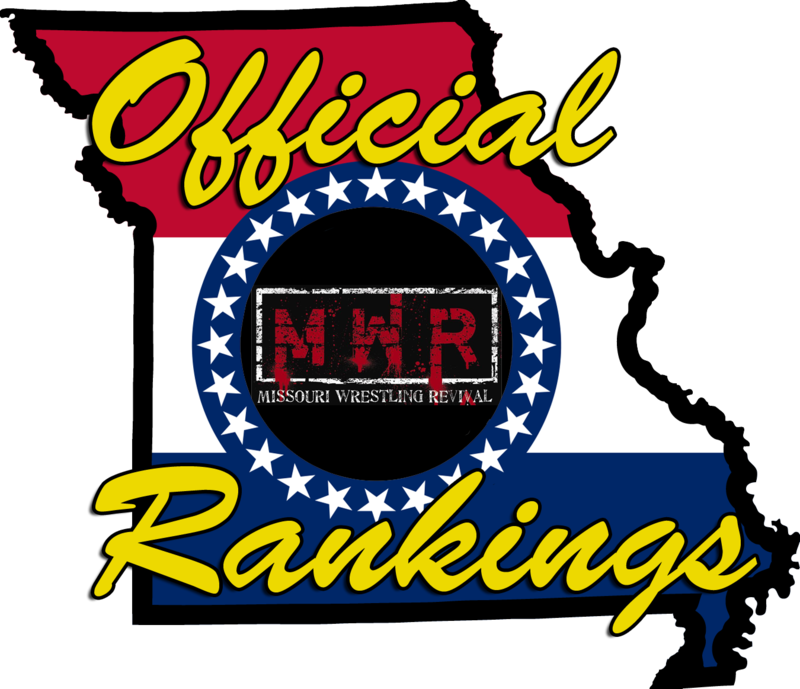 The new Official Missouri Rankings list, good through December, has been calculated and published. Head over to the MO Rankings page for the latest publication. To qualify for the Top 10, a wrestler must have the highest ratings with consistent activity (RD ≤ 200). Rankings are published every two months. CRicky Cruz had an amazing September and October. He defeated the powerful Kevin Lee Davidson, the seemingly unbeatable #1Jake Dirden for the Dynamo Pro Championship, and the giant Cousin Gator. The Dirden bout was the first time in our rankings system that the top two wrestlers met in a match. Therefore, we are proud to call Cruz our first Missouri Heavyweight Champion. Dirden hadn’t been pinned in Missouri in at least two years. 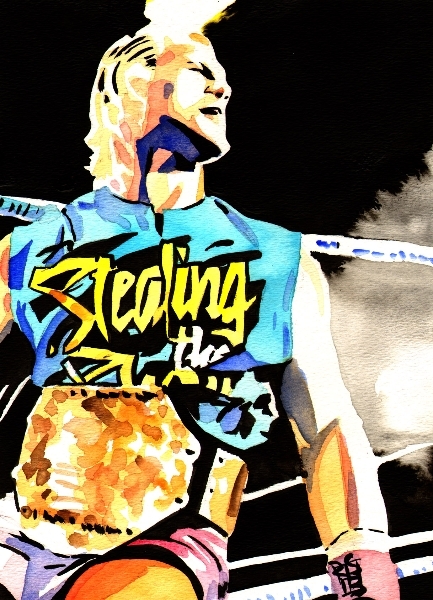 He had back-to-back victories over Brandon Aarons and Davey Richards in September. “Dirdey” remains at the top of the contenders list, no doubt. #2Gary Jackson bested the MMWA Junior Heavyweight champ J’Mal Swagg and the Heavyweight champ Kevin Lee Davidson. No belts for Gary though; KLD walked out with a countout loss. Jackson wants the oldest title in Greater St. Louis. It’s just a matter of time before “Night Train” gets a shot at the MMWA title. Jackson leaps five rungs to his highest position yet. #3Moondog Rover, #4Everett Connors and #9Jon Webb retain their spots. Connors is still suspended by the MMWA; his Missouri future is in question. #5Kyle Roberts is quickly becoming a main event player at World League Wrestling. “Kickin’ Kyle pinned the cocky Italian Karim Brigante among others these two months. Roberts vaults five spots. #6Evan Morris participated in Central-States Championship Wrestling’s “Lord of the Ring” tournament in October and made it to the final before losing to the NWA’s Missouri and Illinois titleholder, Mitch Johnson. Morris’s progress in the opening rounds of that tournament scoot him up two spaces. #7The Iceman hasn’t been active for the last two ratings periods and is in danger of being dropped from the list for singles inactivity. For now, the dancing sensation descends one rank. It was a strange September for #8Leland Race. “The Legacy” went to two time limit draws with Race Academy graduate and rookie Roy Lewis. These draws are upsets and bring the WLW Heavyweight champ down three pegs. The MO Title position at the top allows #10Mike Outlaw to re-enter the list. Outlaw came out winning in Dynamo Pro against Elvis Aliaga and McDarby this go-round. This entry was posted on November 2, 2015 at 12:18 am	and is filed under Uncategorized. You can follow any responses to this entry through the RSS 2.0 feed. You can leave a response, or trackback from your own site.